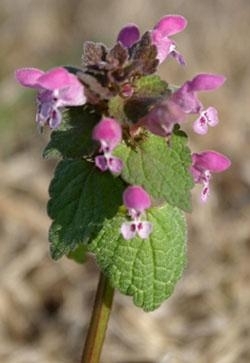 Winter annual with square stems and purple-red flowers that closely resembles Henbit (Lamium amplexicaule). 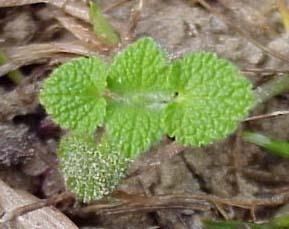 Primarily a weed of turfgrass, landscapes, and winter grain crops found throughout the U.S.
Cotyledons oval and without hairs, while subsequent leaves are hairy, opposite, and nearly circular in outline with rounded teeth on the sides. 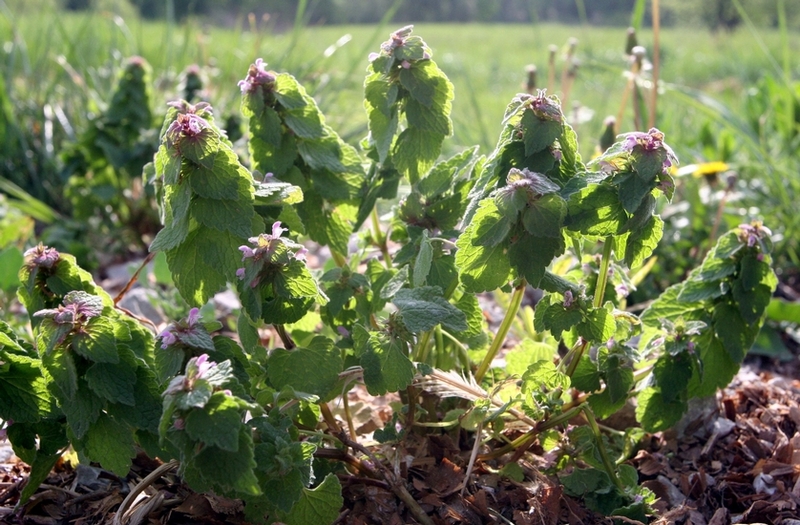 All leaves occur on short petioles, are sparsely hairy, and are circular in outline with scalloped margins. 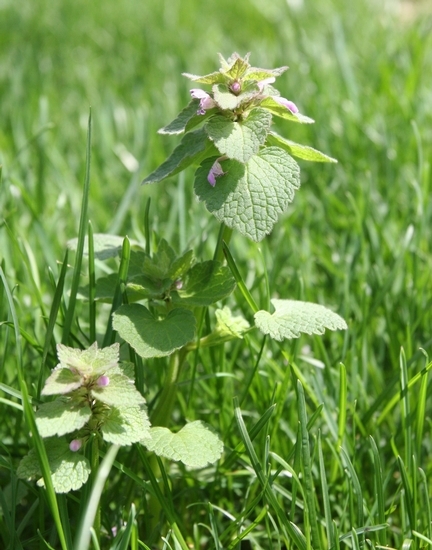 Leaves are 8-12 mm long and dark green in color, becoming more purple-red in the upper leaves. Upper leaves are also relatively triangular in outline. Branched from the base of the plant, are square, and may reach 16-18 inches in height. 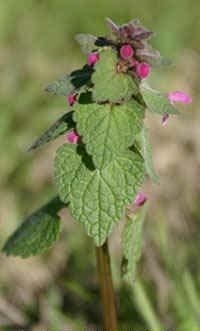 Occur in whorls of 3-6 in the upper leaves. Purple-red in color and 1-2 cm long. A berry 2 mm long. 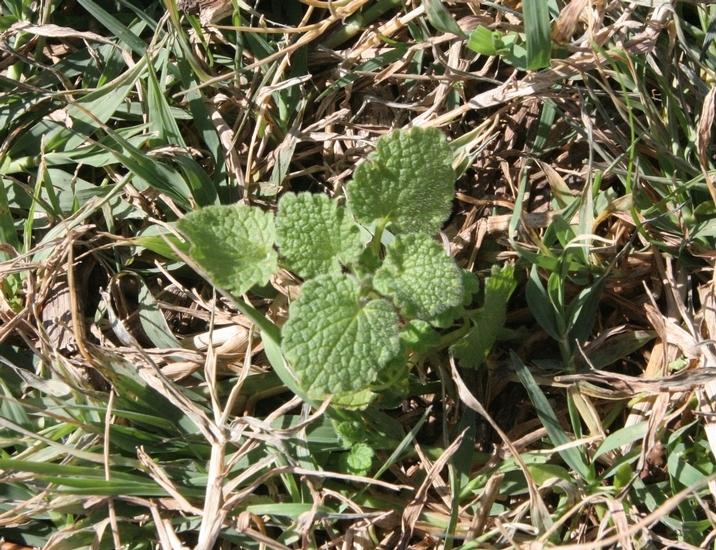 Winter annual with purple-red flowers, square stems, and petioled leaves. 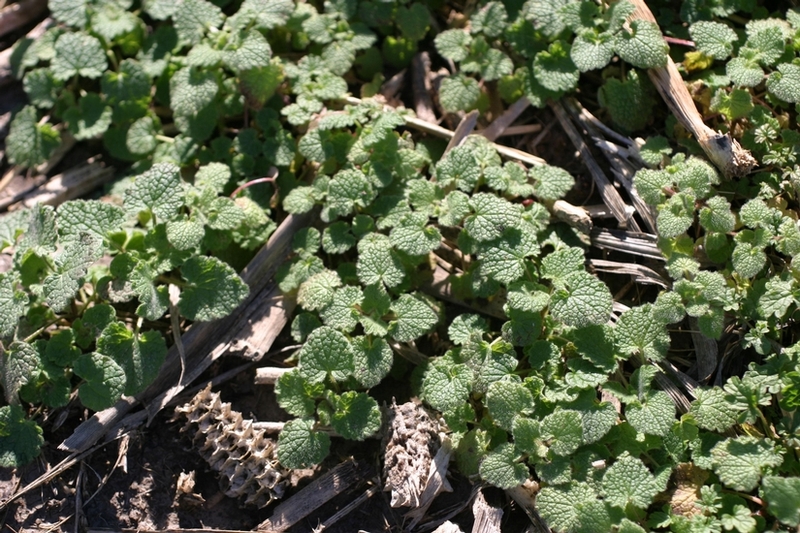 The petioled leaves, triangular and sometimes purplish-red upper leaves help to distinguish this weed from Henbit (Lamium amplexicaule), which has upper leaves that do not occur on petioles (sessile).